The world premiere of “As Straw Before the Wind” seeks understanding within family, generations and war. 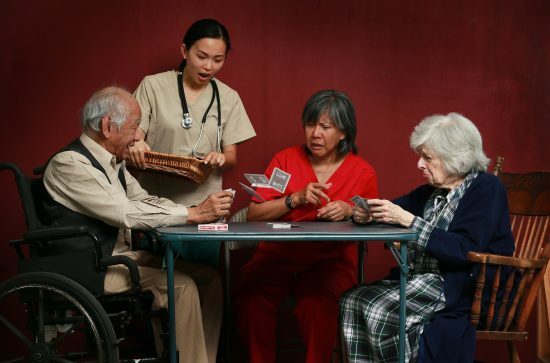 “There’s such a focus in our society on the younger generation that we often forget to care about the older generation,” said Sarnica Lim, in discussing her role as a convalescent home nurse in the new play “As Straw Before the Wind,” opening Saturday at The Ruby Theatre in Hollywood. Written by Felix Racelis, “As Straw Before the Wind” follows Nene Santos, a Filipina nurse and enterprising owner/operator of a San Gabriel Valley convalescent home. Nene (Tita Pambid) has ambitious plans to expand her business, which she intends to leave to her daughter and primary assistant, Pilita (Lim), who has her own agenda. The issue arises of what will become of the elderly and fragile resident patients of the convalescent home – including a retired Filipino American Army captain and a chain-smoking retiree widow with Alzheimer’s disease. Confronting a string of setbacks and obstacles in her quest, Nene is beset by flashbacks of the horrendous experience she and her family endured during World War II, leading to the revelation of a long-kept family secret. “This is a very personal story for me, having grown up with survivors of World War II,” noted Racelis. “The majority of the women in my family, including my mother, were nurses, and one of my mother’s best friends was one of the nurses stationed on the island of Corregidor during the Battle of Corregidor in 1942. The California Healthcare Foundation reported that in 2010, Filipinos accounted for 18 percent of the RN workforce but just 3 percent of the state’s population. 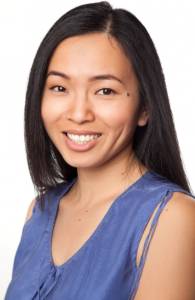 Lim, who is of Filipino and Japanese heritage, noted that while the Philippines provides more nurses than any other nation, their stories are rarely told in mass media. Director Lesley Asistio said “As Straw Before the Wind” examines layers of conflict. “What you will see on stage is a series of wars: a war between a mother and a daughter, between a convalescent home owner and a patient, between a loan officer and a potential borrower, and between the past and the present. Tickets at (800) 838-3006, or online at http://strawbefore.brownpapertickets.com.